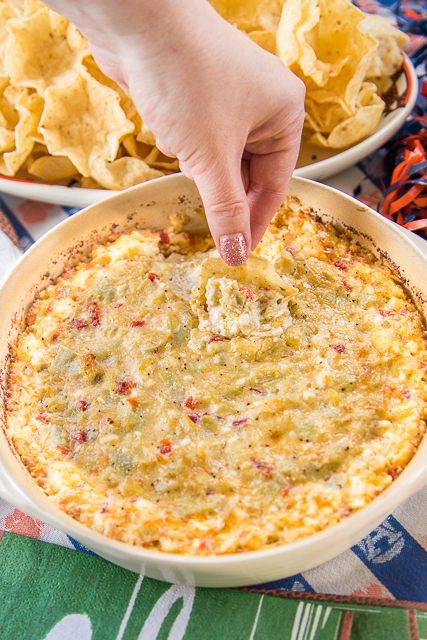 This Feta Artichoke Dip combines two of my favorites - feta and artichokes! 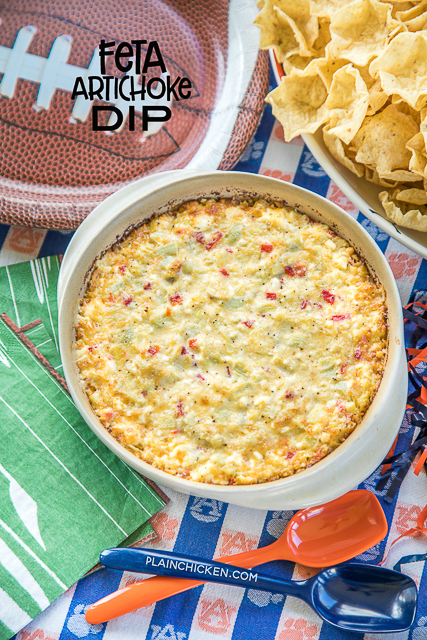 This dip is PERFECT for watching the Super Bowl next weekend!!! You can make this ahead of time and refrigerate it until you are ready to bake. We served this with some chips. This would also be great with some baguette slices or crackers. We have a saying on our house - "Everything is betta with Feta". 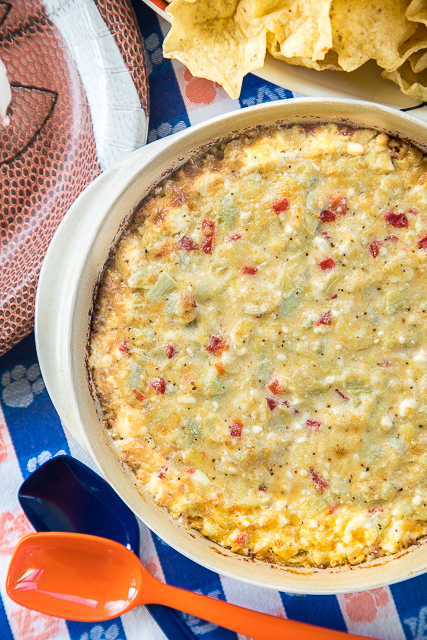 This Feta Artichoke Dip is no exception. 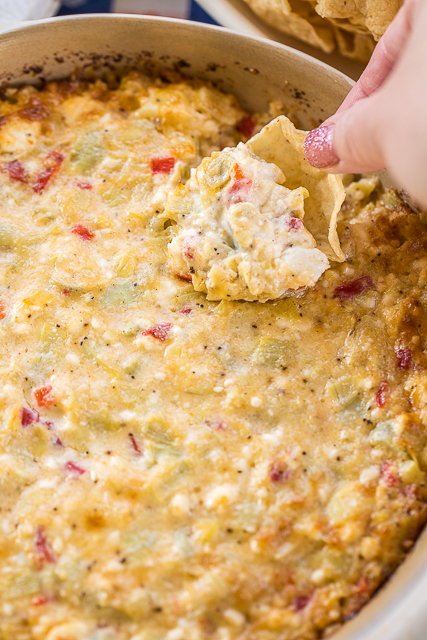 The best part is that this delicious dip is that it only has six simple ingredients. Artichokes, pimentos, feta, garlic, Parmesan and mayonnaise. So simple, yet SO delicious!! I always have the ingredients on hand for a quick snack. You never know when the urge is going to strike! Preheat oven to 350ºF. Lightly spray a 9-inch pie plate with cooking spray. 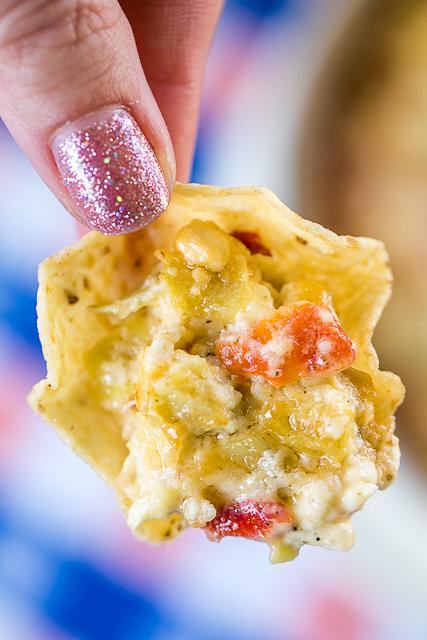 Combine artichokes, pimentos, feta, garlic, Parmesan, and mayonnaise. Spread in prepared dish. Bake for 20 to 25 minutes, until bubbly. Serve with chips and/or crackers. This would be perfect for the big game. Actually all your Football Friday recipes would. Hope you will drop by my Super Bowl party.